Picture this: You wake up to a verdant view—wildflowers blooming in the meadow just beyond your cabin’s private deck. You take a quick walk down to nearby Afton Mountain Vineyards, one of the area’s first farm wineries, and participate in a tasting of its award-winning offerings before heading outside to an awaiting luxury vehicle. But where to go? This package is fully customizable to create the perfect tour through Virginia wine country. We’ll help you find the best route to take advantage of the local terroir before returning you to your cabin for another picturesque evening in Afton. 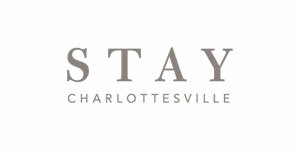 For a complete list of available cottages with photos, please visit Stay Charlottesville.